On Monday, January 29, 2018, President Woloszyn and Natural Resources Police Chapter President Rich Goszka spent the day in the legislature meeting with legislators and their staffs in anticipation of bills of interest being heard in committee meetings during the week. We were able to relay to the Militia, Police and Public Safety Committee our support of HB 1287, Procedural Guarantee for Deputy Sheriffs, and our opposition to HB 1514, Civilian Review Panel for Police. While at the legislature we were able to speak to members of the Senate Committee on Agriculture, Conservation and Natural Resources to express our opposition to SB 838, Review panel for Natural Resources Police. The impact of our efforts and your emails to legislators was felt when I returned to the legislature on Thursday. Three bills were scheduled to be heard in Militia Police and Public Safety subcommittee 2 at 0700 hours. When I arrived I spoke to Delegate Watts about HB 1514, Civilian Review Panel for Police. Delegate Watts advised me that due to the voiced opposition to the bill she had it stricken from the docket. Delegate LaRocks bill on procedural guarantee for deputy sheriffs, HB 1287, was not taken up at the meeting and may be rescheduled. HB 1418, Delegate Tylers procedural guarantee for corrections officers, was heard at the meeting. A large group of corrections officers showed up and spoke to the bill, as did I, and the bill was passed to proceed to full committee. In anticipation of the afternoon meeting of Senate Agriculture, Conservation and Natural Resources, I met with Committee Chairman Senator Stuart who advised me he was against the Senate bill on a review panel for Conservation Police Officers. I was able to meet with the patron of SB 838, Senator Spruill, who engaged in a very frank discussion with me about the bill. Senator Spruill and I came to an agreement that if the Director of Natural Resources would have fulfilled the promise years ago of a professional internal affairs unit, and hired a law enforcement professional to run the law enforcement division at DGIF as colonel, we would not be having this discussion now. I used the same logic and reasoning as I addressed the full committee at the meeting. The committee members agreed with my points and killed the bill. The committee also directed the DGIF Director Bob Duncan to move forward with the process to hire a Colonel and put the internal affairs unit into service. On Friday morning, I met with Delegate Filler-Corn before the meeting of Finance subcommittee 3 which was to hear HB 172, tax exemption on gun safes. I spoke and supported the bill in committee meeting at 0730 but the bill failed to pass. At 0830 I met the corrections officers at the full committee meeting of Militia, Police and Public Safety to support their Procedural Guarantee bill, HB 1418. This bill passed out of committee and was referred to Appropriations for some minor wording adjustments. When the wording is changed this bill will be identical to SB 851 from Senator Marsden. SB 851 has passed the Senate and is now moving through the House. Procedural Guarantee for Corrections officers has a very good chance of passing both Houses and moving to the Governor for signature. Our grievance bill HB 1471 was just returned from legislative services with the appropriate changes completed. This bill standardizes the final grievance step, utilizing a three person panel. The final wording of the bill is not yet listed on the link to the bill. On Wednesday, February 7th at 1600 hours, HB 1471 will be heard at the General Assembly in front of the Sub- Committee on Counties, Cities and Towns, room E-200 Pocahontas Building. Getting this bill passed is a priority for our members as it will standardize the final step of the grievance process across the entire state. The bill allows the grievance and the jurisdiction to pick one member of the hearing panel, while the third panel member is agreed upon by both parties or appointed by the circuit court. While this is the process used in many jurisdictions currently, there are still some jurisdictions that continue to use old procedures that give an unfair advantage to the agency. This bill will level the playing field and force a degree of fairness. It is my goal to get some members to attend this very important sub-committee meeting and testify to this bill. 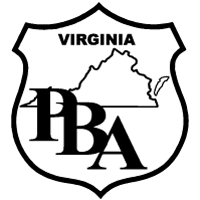 If you are able to attend the meeting please contact me or VAPBA Division President, Joe Woloszyn to make arrangements to meet in Richmond. If you are not able to attend, I ask that you call and/or write the Delegates listed below. Even a short e-mail just asking them to support the bill will be greatly appreciated. HB 90 - Bell, John J. - Teacher grievance procedures; hearing, three-member fact-finding panel. HB 100 - Simon - Method of execution; lethal injection drugs. HB 107 - Bell, John J. - Workers' compensation; disease presumptions, correctional officers. HB 108 - Bell, John J. - Correctional officers; survey upon resignation, etc., report. HB 174 - Filler-Corn - Communication w/individuals w/certain disabilities; Dept. of CJS to establish protocol. HB 402 - Levine - Law-enforcement agencies, local; body-worn camera systems. HB 430 - Marshall - Law-enforcement officers; qualifications, psychological examination. HB 472 - Reid - Workers' compensation; presumption of compensability for certain diseases. HB 498 - Simon - Concealed handgun permits, out-of-state; reciprocity. HB 531 - Habeeb - Workers' compensation; proof of coverage information. HB 623 - Bell, Robert B. - Law enforcement; false reports, penalty. HB 643 - Hope - First responders; reduced rate tuition. HB 664 - Kilgore - Virginia Freedom of Information Act; transfer of public records, definition of "custodian." HB 727 - Delaney - Virginia Freedom of Information Act; exclusion of records relating to public safety. HB 739 - McGuire - Police animals; attacking, killing, etc., penalty. HB 781 - Keam - Virginia Open Data Initiative Act; created, report. HB 802 - O'Quinn - Eluding police; penalty. HB 846 - Ingram - Virginia Retirement System; technical amendments. HB 863 - Ingram - Virginia Retirement System; health insurance credits for retired state employees. HB 904 - Robinson - Virginia FOIA; general exclusion for trade secrets submitted to a public body. HB 906 - Robinson - Virginia Freedom of Information Act; clarifies definition of electronic communication. HB 907 - Robinson - Virginia Freedom of Information Act; meetings held by electronic communication means. HB 908 - Robinson - Virginia Freedom of Information Act; meetings held by electronic communication means. HB 909 - Robinson - Virginia Freedom of Information Act; disclosure of law-enforcement and criminal records. HB 940 - Roem - Freedom of Information Act Ombudsman; created, Attorney General to appoint. HB 969 - Davis - Workers' compensation; statutory employers, exclusions. HB 1030 - Price - Officer-involved shootings; model policy for investigations, disclosure of report. HB 1053 - Watts - Workplace harassment; legislative branch required to adopt policies. HB 1101 - Robinson - Virginia Freedom of Information Act; right to speak at open meetings. HB 1161 - Simon - Teacher grievance procedures; hearing; three-member fact-finding panel. HB 1245 - Hugo - Workers' compensation; presumption of compensability for certain diseases. HB 1275 - Aird - Virginia FOIA; record exclusion for trade secrets supplied to the VDOT. HB 1287 - LaRock - Law-Enforcement Officers Procedural Guarantee Act; includes certain deputy sheriffs under coverage. HB 1326 - Reid - Virginia Retirement System; E-911 dispatchers. HB 1418 - Tyler - Correctional Officer Procedural Guarantee Act; created. HB 1443 - Mullin - Concealed handguns; retired law-enforcement officers may carry without a permit, etc. HB 1471 - Hugo - Teacher grievance procedures; hearing before school board, selection of panel. HB 1514 - Watts - Police misconduct; locality authorized to establish civilian review panel, law-enforcement auditor. HB 1599 - Landes - Criminal Justice Services, Department of; definitions of law-enforcement officer. HB 1603 - Roem - Virginia Freedom of Information Advisory Council; charges for the production of public records. HJ 96 - Hurst - VaLORS; JLARC to study increasing hazardous duty retirement benefits. HJ 103 - Torian - Virginia Retirement System; state-run retirement savings plan. SB 56 - DeSteph - Line of Duty Act; eligible dependents. SB 59 - Lucas - Criminal Justice Services, Department of; training standards, community engaged policing. SB 196 - Locke - Law-enforcement officers; CJSB to adopt statewide professional standards of conduct. SB 248 - Dance - Virginia Retirement System; technical amendments. SB 321 - Ruff - Virginia Retirement System; health insurance credits for retired state employees. SB 352 - Peake - Workers' compensation; presumption of compensability for certain diseases. SB 495 - Carrico - Deputy Sheriff Supplemental Salary Fund; created, revenue source.